Gardens are beautiful and all but they're almost always inconveniently located on the ground. 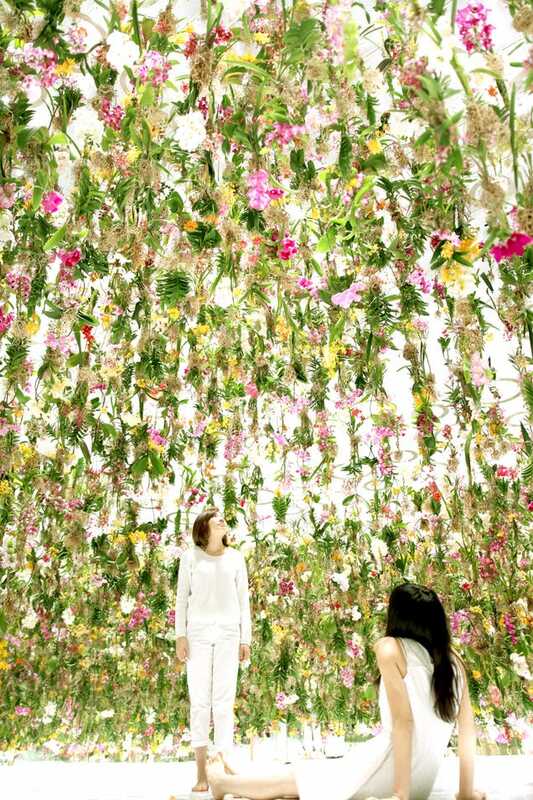 Instead of stooping to smell the roses, this garden comes to you: A suspended, living arrangement of 2,300 flowers which rises and fall around viewers as they move through the space. Floating Flower Garden: Flowers and I are of the same root, the Garden and I are one is a project by Japanese artists at teamLab, where a computer-controlled system shifts the 2,300 plants up and down depending on the presence of a person walking below. Imagine the flowers parting like a curtain and forming a bubble around each person. The technology is similar to Random International's Rain Room, which keeps viewers dry they walk through a simulated downpour. The plants are orchids, which are able to take in water and nutrients through their airborne roots and don't necessarily need soil. So the garden is actually growing, even as it's installed upside-down. 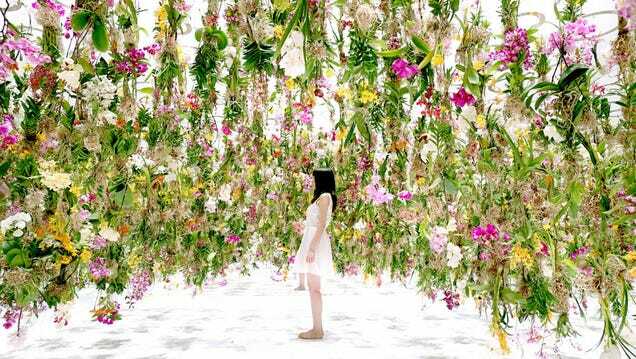 In addition to the visual experience, the smell must be absolutely amazing: According to the artists, the scent of each flower is intensified when it's pollinated by its corresponding partner insects, and the room's fragrance changes throughout the day.